Laura’s stunning songs, natural sense of humour and flair for entertaining shine from the stage. Whether performing solo or with her band, seeing Laura’s show leaves no doubt this girl knows a thing or two about playing guitar but it’s Laura’s voice that evokes engagement with her listeners and leaves them longing for every word. Laura’s new LP ‘Blue Skies” is a warm and rich collection of tracks. It dances with light and shade, from the darker, more bluesy tracks “To get to you” and “Fuel the flame” to the playful folksier seasonal numbers like “Blue Skies” and “Red Hot”. From beginning to end, Laura’s latest release surges like an ocean swell and has some pleasant surprises along the way, finishing the journey with the refreshing and heartfelt closing crooner tracks of “Rainbow” and “Home”. Blue Skies compliments and follows Laura’s hugely successful EP ‘The Guava Tree’ (MGM) which has sold thousands of copies since its 2011 release. Laura’s passion for life, the ocean, surfing and her adventurous and natural spirit go hand in hand with her love of music. Laura is currently the Australian lifestyle ambassador for the global surfing and lifestyle company O’Neill Australia. 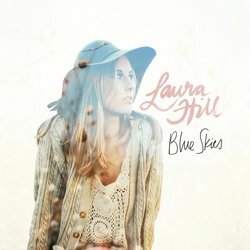 Well-crafted and thoughtful, ‘Blue Skies’ highlights Laura’s gift as a songwriter while embracing and building on her already solid signature sound.